As is to be expected at this time of year, countless publications have been unveiling their Top 10s and Top 20s of 2016 across a wide range of areas. Of course, some of the lists that we have been hunting out for the most have been the ‘Top PR Stunts and Campaigns of the Year’, of which there have been a seemingly innumerous amount this year. So, to save you the time of trawling though them all, we have compiled a digest of a few of the year’s standouts to give you a decent cross-section of the best from the world of PR in 2016. The #MissingType campaign of June 2015 was one of the most successful and well publicised of the year, as several major UK brands and street signs dropped the As, Bs and Os from their names to highlight both National Blood Week and the lack of blood donors in the UK. As simple a move as taking away the letters that make up the most common blood types may be, it was enormously successful. Within 10 days of the campaign launch, a record 30,000 new donors had signed up. Following the campaign’s runaway success, 2016 saw its organisers NHS Blood and Transplant take it global. Running concurrently with an advertising campaign, the PR stunt was rolled out across 22 countries, from Australia to Nepal and the US, in order to raise awareness for the need to increase donor numbers. Fewer films, for better or worse, drummed up as much publicity as the remake of Ghostbusters this year. Fighting against a controversial ‘fan’-led wave of negative commentary ahead of its release, the movie’s publicists needed to make a big statement to remind people of why they love the franchise in the first place – it’s fun. So how could they go about doing this? Simple. 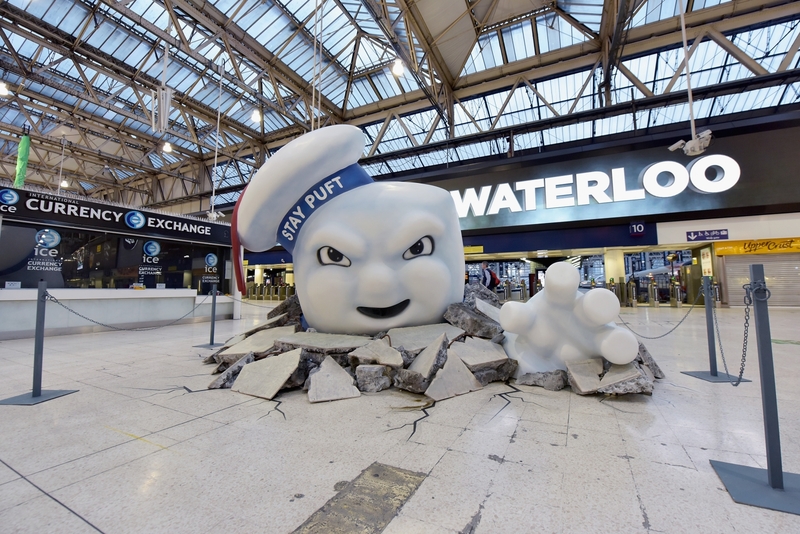 Installing a huge sculpture of the Giant Puft Marshmallow Man breaking through the floor of Waterloo Station. It was exactly the sort of engaging and eye-catching statement that they needed to make to drum up some positive publicity for the movie and take back the initiative in their film’s promotional campaign. But Ghostbusters wasn’t the only 2016 film release to deploy some clever PR to raise awareness of their movie. To promote the release of Creed, the latest entry into the Rocky Balboa film anthology, Warner Bros. commissioned for a brass band to be waiting at the top of the staircase of Chancery Lane Underground Station, playing the film’s iconic score in celebration of those who opted to take the stairs over the escalator. Cue not only many laughing Londoners, pulling their best Sylvester Stallone impressions as they ascended to the flight of stairs, but also a lot of positive buzz about the boxing film. How do you bounce back from one of the most controversial recipe changes of recent times, which alienated a substantial number of your core audience? That was the challenge facing Cadbury this year, after its adjustments to its famous Crème Egg recipe had left many consumers fuming. 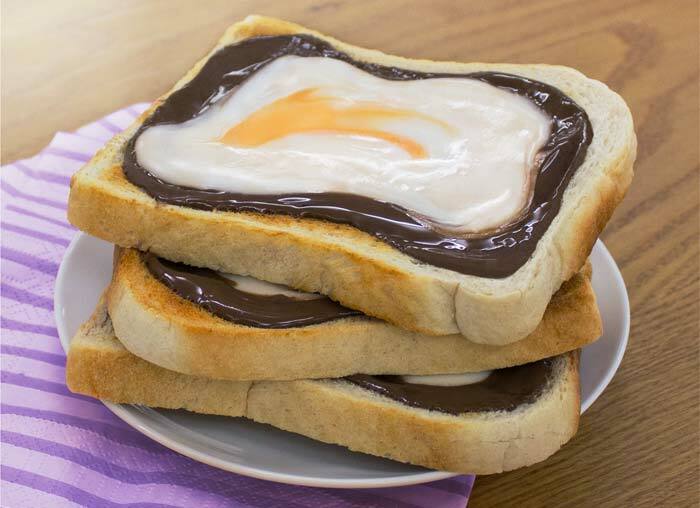 So in an attempt to re-establish some much needed brand love, the company decided to set up a pop-up Creme Egg restaurant in Soho for 7 weeks this year, serving up everything from Creme Egg and soldiers to Creme Egg with strawberries to what many remarked as their ‘pièce de résistance’ – the Creme Egg toastie. On a personal level, we at SQN were very proud of our work with engineering company Cosworth this year and the launch of their ‘Road to Somewhere’ campaign. To celebrate its dedicated apprentice scheme, we worked along Cosworth to not only devise the overall campaign strategy but to also create a series of videos for the company in the run up to the UK’s National Apprenticeship Week. These visuals showcased life as an apprentice at Cosworth, which allowed prospective applicants to see the learning opportunities and career advancement that could be obtained by signing up to the scheme.